After researching chat solutions, and conducting side-by-side evaluations of the leading vendors, ASCAP selected BoldChat by LogMeIn for its flexibility, customization, and close integration with Salesforce. 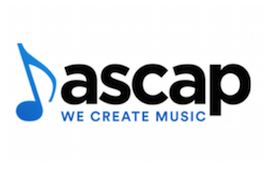 ASCAP, The American Society of Composers, Authors & Publishers, is a membership organization that works on behalf of its 550,000+ members to offer music licenses to any business that plays music for its patrons. This includes everything from restaurants to yoga studios to orchestras and amusement parks. In turn, 88¢ of every dollar collected from license fees goes back to ASCAP members as royalties, providing them valuable income while they continue creating music. When purchasing a license, a business’s first stop is often the ASCAP website. But due to licensing complexity, individuals struggled to find the information they needed to get all their questions answered. Eight agents provided phone support, but this was proving too time consuming for both agents and customers. Further, customers were beginning to express an interest in using chat. After researching chat solutions, and conducting side-by-side evaluations of the leading vendors, ASCAP selected BoldChat by LogMeIn. The ability to provide prepared responses, utilize visitor tracking, and handle multiple chat sessions simultaneously were among the key capabilities ASCAP desired. But BoldChat’s close integration with Salesforce.com and ability to handle custom objects were the deciding factor. ASCAP has a highly customized Salesforce deployment and needed BoldChat to map to custom objects. They also had specific requirements on when and how chat messages would appear on outward facing webpages, and which webpages would direct to which agent. They also needed to be able to create a new record for each new visitor, and map that information back to Salesforce. ASCAP found the flexibility and customization they were looking for with BoldChat. Decreased call volume with an average of 40 calls a day off-loaded to more efficient chat sessions. Increased productivity as support agents now handle up to five chat sessions simultaneously. Deliver higher quality and more consistent service in less time by monitoring and controlling customer interactions via chat. Increased customer satisfaction due to customers and prospects getting their questions answered more rapidly, and through their preferred communications channel.